Apple’s new iPhone XS has a bigger and better screen than its predecessors like iPhone 8, iPhone 7 and iPhone 6. Featuring a bezel-less screen design measuring a whopping 5.8 inches diagonally, the larger screen means more space for viewing photos and videos. However, there may be times that the iPhone XS screen just won’t be enough; streaming movies to a phone just doesn’t provide the same immersive experience that a TV can. Keep on reading this article to see some of the best ways to mirror iPhone XS to TV easily. 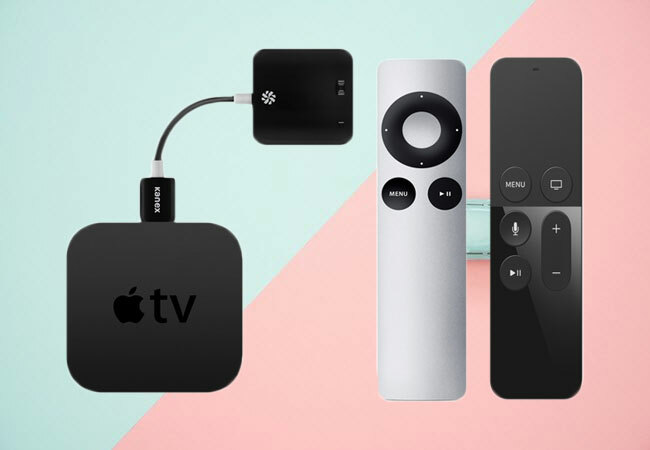 As a digital player appliance developed and sold by Apple Inc, Apple TV is a complete entertainment solution which has the ability to receive digital data from a variety of specific sources and stream it to a supported TV. That’s why so many people use it everyday whether listening to music or streaming Netflix and YouTube. On top of that, you can now access your visual content from your iPhone or iPad to your TV using this device. This allows you to watch your favorite series with a bigger screen experience. To display iPhone XS on TV, here’s the instructions to follow. Make sure both your Apple TV and iPhone XS are connected to the same WI-Fi network. On your iPhone, swipe up from the bottom to access the control center. Tap on “Screen Mirroring” option and look for the Apple TV from the detected devices, then tap it. After that, you should be able to see that your iPhone screen is mirrored to your TV. You can also use Google Chromecast to display your iPhone screen to TV. As one of the best and cheapest streaming devices designed to screen mirror your iPhone XS to your TV, Chromecast supports both iOS and Android platforms. This helps you watch a larger number of online media content from Hulu, Netflix, HBO GO, and other video-sharing sites. Also, it works fine on all TV models as long as it has an HDMI port. To set it up and airplay iPhone XS to TV, simply follow the steps below. First, connect your iPhone XS and Chromecast to the same wireless network then download the latest version of the Google Home App on your iPhone from the App Store. 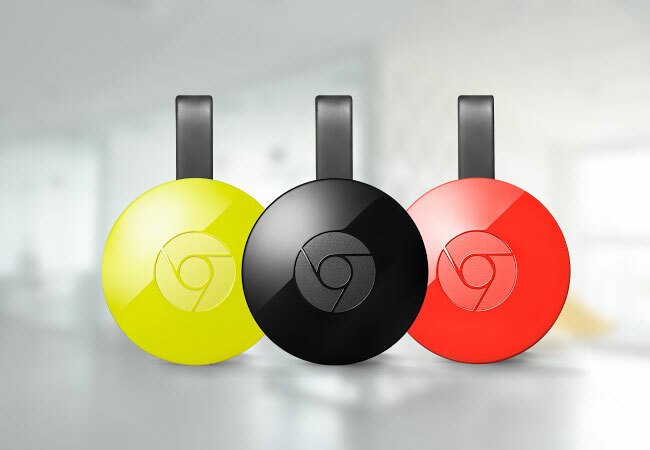 Connect your Chromecast to your TV through its HDMI port and plug in its charger to the nearest outlet. Launch Google Home App, select “Devices” on the top right corner of your screen. Tap “Set Up” along with the “Continue” button once it appears. 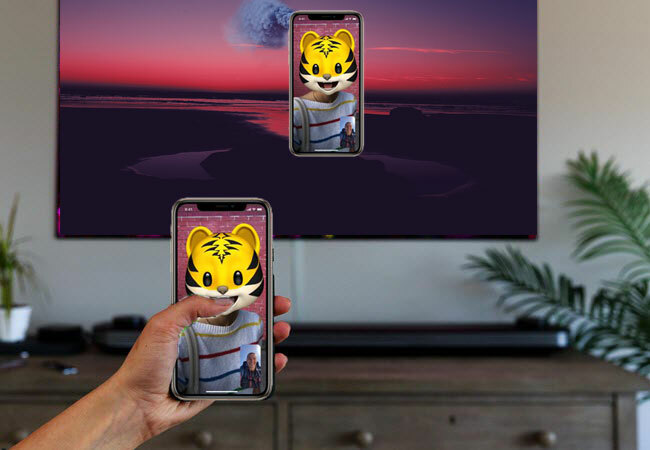 A code will then be shown both on your TV and iPhone XS. If the codes match, tap on “Yes”. After that, sign in to your Google account to access all YouTube content. Another good alternative is ApowerMirror. A well-known mirroring app used to mirror content from your smartphone to your Windows PC, Mac, and TV, this software program is the option for most professionals who giving a demonstration or a presentation. With its built-in screen recording function, you can record your meetings in real-time, and this features also makes ApowerMirror a favorite among gamers hoping to record their gameplay activity. Check out the step-by-step procedure below to learn how to quickly and easily screen mirror iPhone XS to TV. Connect your TV to your PC using a HDMI cable. Navigate on your TV’s remote control and enter “Input” then select HDMI, then you should be able to see your PC screen mirrored to your TV. 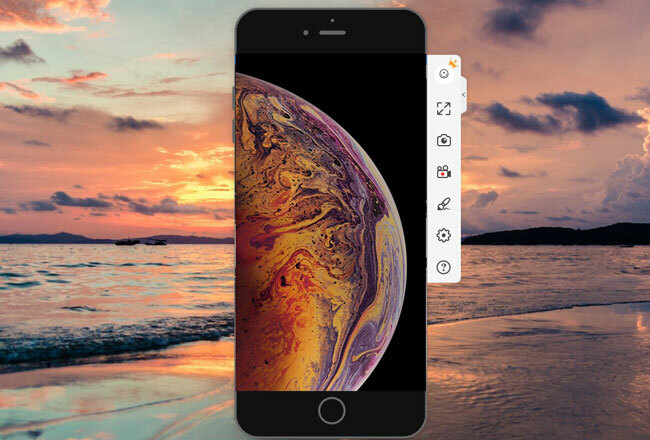 Download and install this mirroring app on your PC to proceed with the process, and remember to connect your iPhone XS and PC to the same WiFi server. After that, pull up the control center on your iPhone. Tap on “Screen Mirroring” then select the name of your PC with Apowersoft beside it. Once done, you should see your iPhone XS screen displayed on your TV. In summary, the above-mentioned approaches are some of the best ways to mirror or cast your iPhone XS to your TV easily. All of them are great, but if you’re really trying to give yourself an edge in a school or business presentation or hoping to start the next popular Youtube gaming channel, ApowerMirror is a great choice that offers additional helpful features that makes it stand above the other two options. Rating: 4.3 / 5 (based on 17 ratings) Thanks for your rating!